" Serving All of God's People as Christian Stewards"
We are all called to serve the Lord. Stewardship means taking an honest look at the gifts God has graciously given to us, and determining how we can share those gifts with others. Being a good Steward of God’s gifts, also means making service and ministry a priority in one’s life. As St. Paul reminds us, we have each been given unique talents. And the church needs you to use your gifts. Your time and talent joined together with others in our community, keep our parish alive, healthy and thriving and help us to live out our Baptismal promises. It is my hope that you will become an integral part of your new parish by volunteering to serve your fellow parishioners in one of the many ministries or by serving on a parish committee. Each of us is called by God to serve. 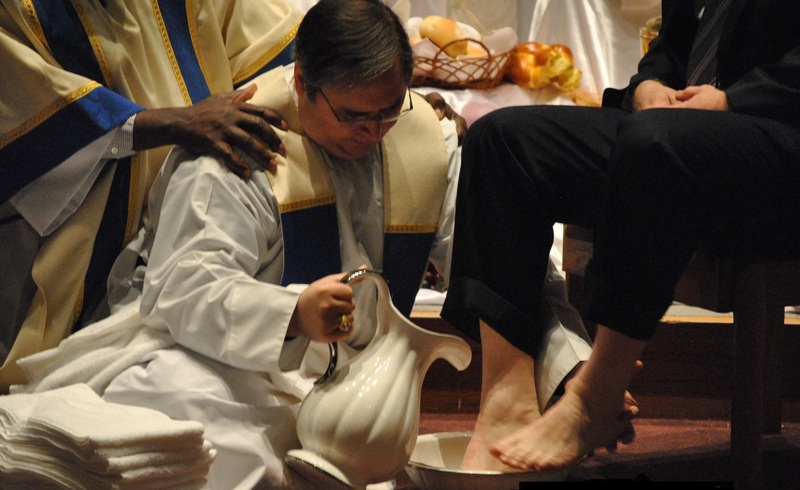 We at St. Andrew's are mindful of our response to that baptismal call. This section of our website contains ministry descriptions of the numerous ministries and opportunities that are available at St. Andrew the Apostle Church. Please read through these opportunities and prayerfully consider where God is calling you to serve. You can also download our Ministry Guide. Please note the Immediate Needs List in the Ministry Guide to find opportunities that have a particular need for additional assistance or the Quick Lists to find ministries that are especially designed for children, youth and families. Once you decide where you would like to serve the Lord and His church, just click on the Registration Button and fill out the electronic form. A ministry leader will contact you to help you get started in your ministry area.